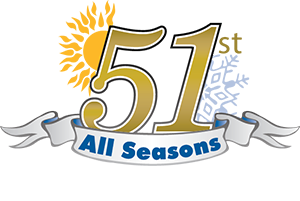 Since 1968, All Seasons Air Conditioning is a full-service HVAC company serving the comfort needs of residential and commercial owners across Nassau, Suffolk, Queens, and Fire Island, NY. As the leader in the HVAC business on Long Island, we have gained loyal customers through the years by providing unprecedented services, knowledge and extensive experience in heating, cooling, and indoor air quality solutions. Since 1968, we are your one-stop shop for all your heating and cooling service needs on Long Island. From the products and the top-caliber services we offer to the professional team we send to your home, we set the same level of guaranteed satisfaction and excellence. No wonder our customers are loyal to us for all their HVAC needs for the past 51 years. We put our utmost care and value to your home. We work on your unit as if our own, for our family. We consider your comfort as our priority but it’s not only because of our professional expertise that clients love doing business with us, our techs are also known for their excellent manners in and out of the home and the friendly relationship we build with the people in it – courteous, polite and considerate. your home’s comfort or respond to an unexpected heating or cooling need while staying within budget. At All Seasons Air Conditioning, we are always on the look for the latest advancement in the HVAC industry. Everyone aims for greater savings and improved comfort, and we give it all to them by keeping in touch with the latest HVAC trends. We even help them create smart homes and buildings. When you need a full-service heating contractor for your Long Island home, count on All Seasons Air Conditioning – the comfort control people! We are available for all emergencies and are committed to helping you stay safe, comfortable and happy. When it comes to your comfort, we offer only the best products and services from installation, repair to maintenance. Whether big or small, All Seasons Air Conditioning works on all types of homes and workplaces to help you achieve a comfortable environment. Set your service appointment with us today!